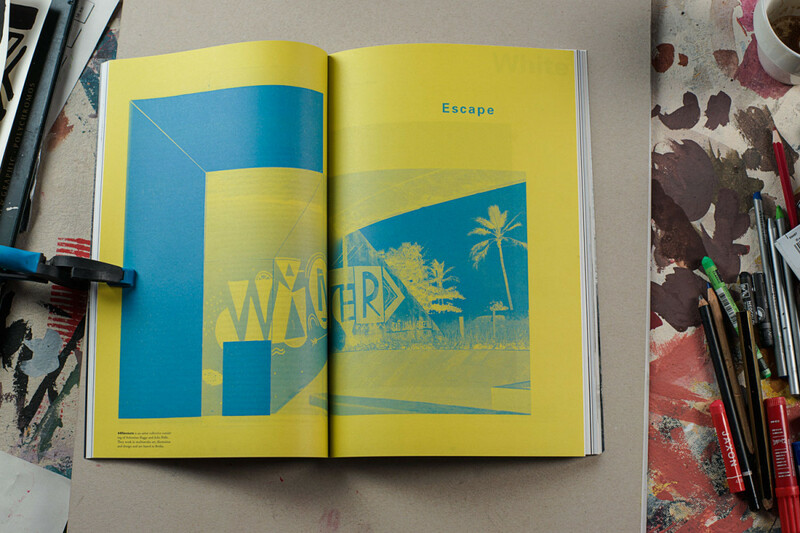 A Mag For All Seasons is a project by Kevin Braddock, Kati Krause & Ana Lessing. I was still in Brazil for the Kulturtour when we were asked to submit something for the first season (Winter) of the magazine. We chose 'escape' as the guiding theme for our work, as technically that's what I did. I escaped the grey, cold Berlin winter and traded it in for a tropical type of madness. We brainstormed with Sebastian over Skype about what we could do. I had this image in my head of the monochrome look of Winter, but that, superimposed over a picture of a beach with a single palm tree somewhere in the background. 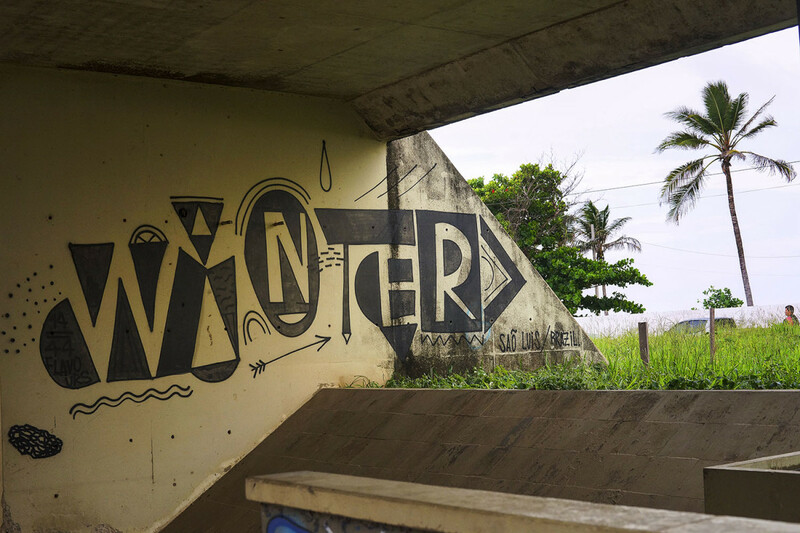 I was also intent on continuing my series of words painted in public spaces. At that time, I was in São Luís where we spent a couple of days painting with some local artists. 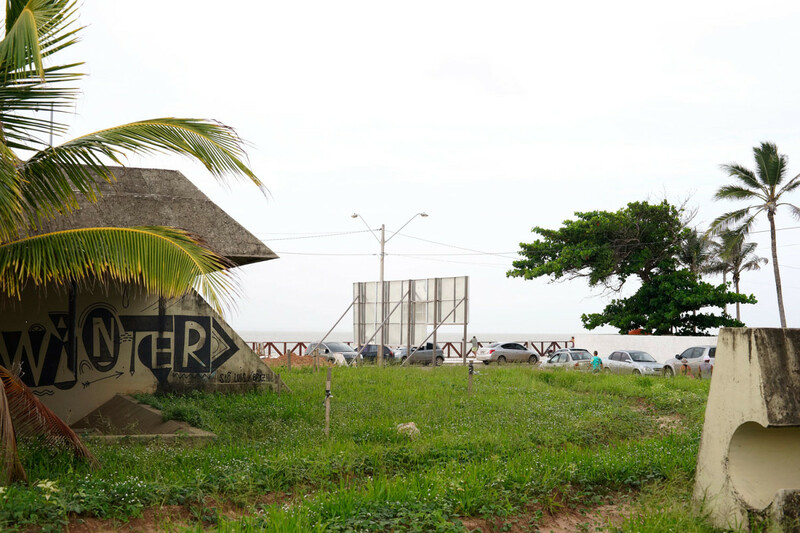 I asked some of them to help me find a spot close to the beach, with a wall and a palm tree in the background. They took me to this abandoned — Niemeyer – modernist playground. That's where I painted this piece, on one of the buildings located there. I sent a photo to Sebastian, who was still in Berlin, and he formatted it, worked out the layout and using a couple of cut-outs created what became a double-page of the magazine. 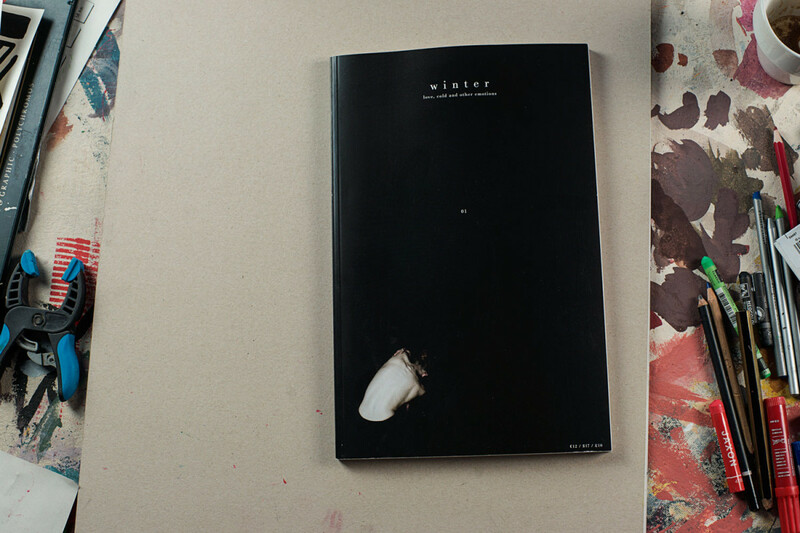 Interestingly enough, our piece is one of the only colorful images in the entire zine. It also landed dead in the center. 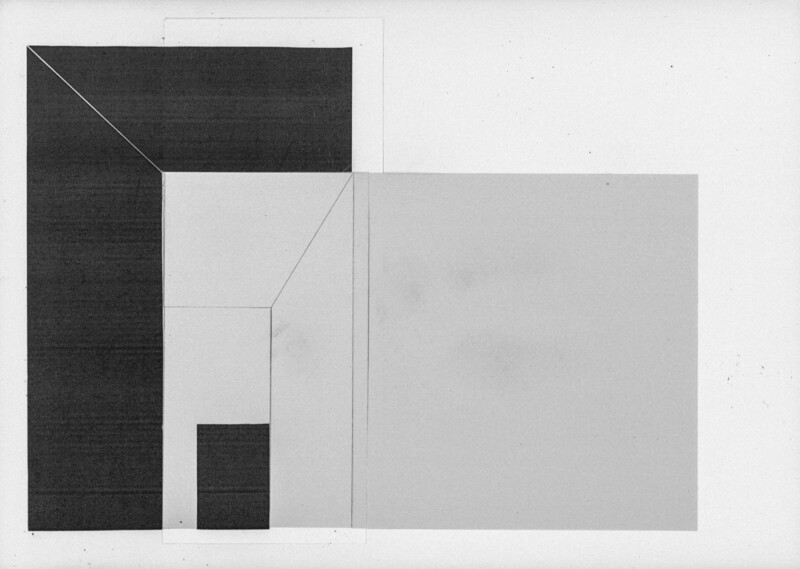 When you flip through the zine it really feels like this image is an escape portal away from winter, a proper way out.